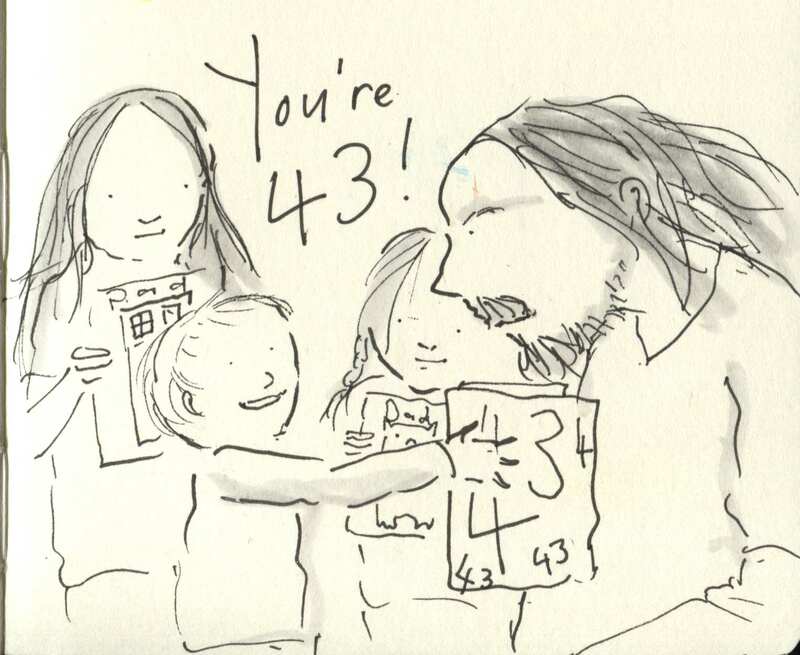 Posted on June 3, 2015, in Uncategorized and tagged Birthdays, Doodlemum, Drawing, Family, Humour, Pen and Ink, Sketchbook. Bookmark the permalink. 5 Comments. I absolutely love your blog! What a great idea to use sketches to tell your story — your family’s story. Wishing a very Happy Birthday to Doodledad!